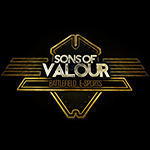 All donations to Sons of Valour are welcomed and appreciated. However much is donated allows us as a community to continue to run servers which cater for what the community wants and needs. All donations go towards the management of the clan, including the payment of game and voice servers. View a list of our servers here. Please use the form displayed on the main page's sidebar. Last edited by Voltstriker; 25-02-2016 at 09:17 PM.